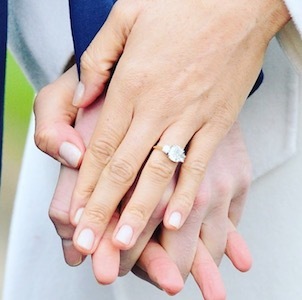 Sparkly, an aptly-named new website, is basically the new-and-improved Pinterest just for engagement rings and engagement rings only. 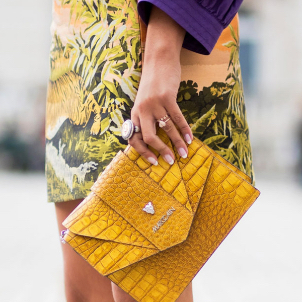 Consider it bridal bling basecamp. 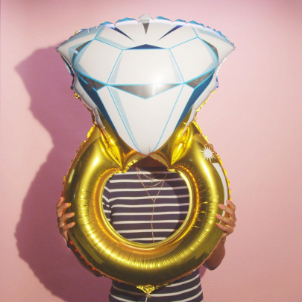 Sparkly has created a destination where hopeful brides-to-be can nab all the real-life ringspiration in one place. Sparkly is dedicated solely to precious baubles, making for streamlined browsing that won’t distract you with other bridal matters. 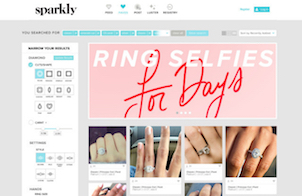 Sparkly is like a never-ending digital scrapbook packed with photos of real, recently-engaged women sharing photos of their rings. 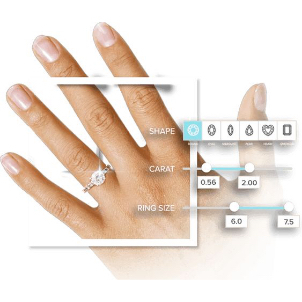 You can filter your search by diamond cut, carat, setting, and ring size to see exactly what your ideal piece looks like on a finger your size. 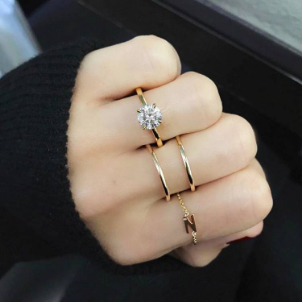 On Sparkly, you can compare stones based on these specifications and get a better sense of how the ring will translate in real life. 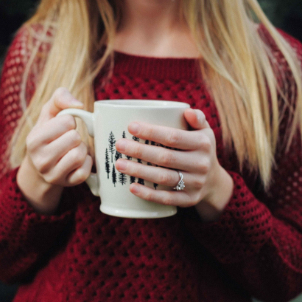 This new site aims to simplify the shopping process for engagement rings. A diamond carries its weight matters, according to Steve Simon. “You can try to find diamonds that ‘face up’ larger than the carat size suggests. 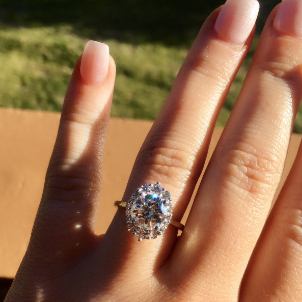 For example, a 1.8 carat stone might look more like a 2.1 carat stone. 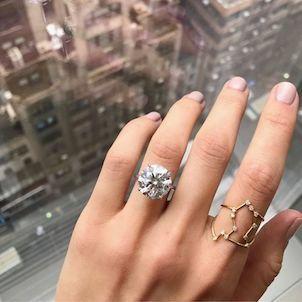 According to Sparkly, the most popular ring on their Pinterest-like engagement ring website is much more classic than one would expect — the round cut solitaire. 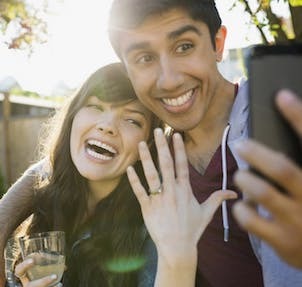 With Sparkly you can search and filter real ring selfies to see what a 1.3 carat diamond really looks like on your size ring finger, and discover the kind of ring you’ll love forever.